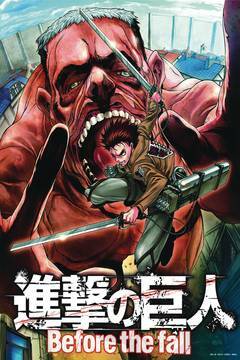 The prequel to the number one bestselling Attack on Titan and winner of the Diamond Gem Award for best manga continues! Humanity has learned to live in complacency behind its high walls, protected from the giant Titans. But when a Titan-worshipping cult opens one of the gates, a Titan wreaks havoc, consuming the cultists. After the rampage is over, two young Survey Corps members are shocked to discover a pregnant woman's partially digested corpse - with her baby still alive inside it! What will the fate of this 'child of the Titans' be? And how will humanity learn to cope with the Titan threat?.